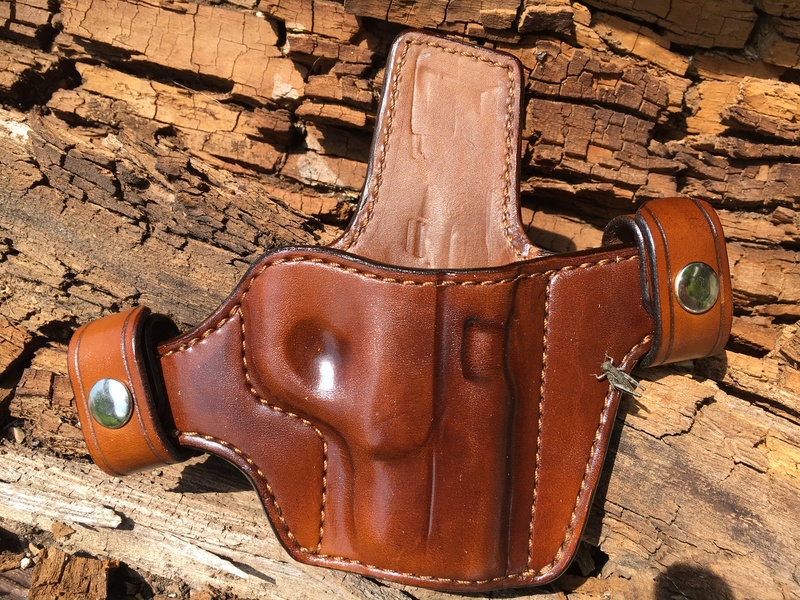 The original Pancake style has evolved over the years at the hands of many holster makers. 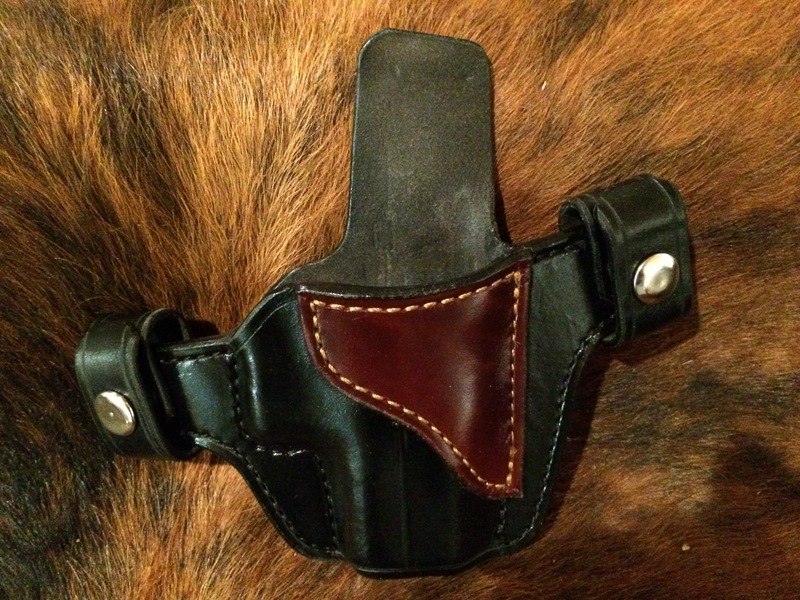 The Snap-Loop belt attachment is an improvement I really like! 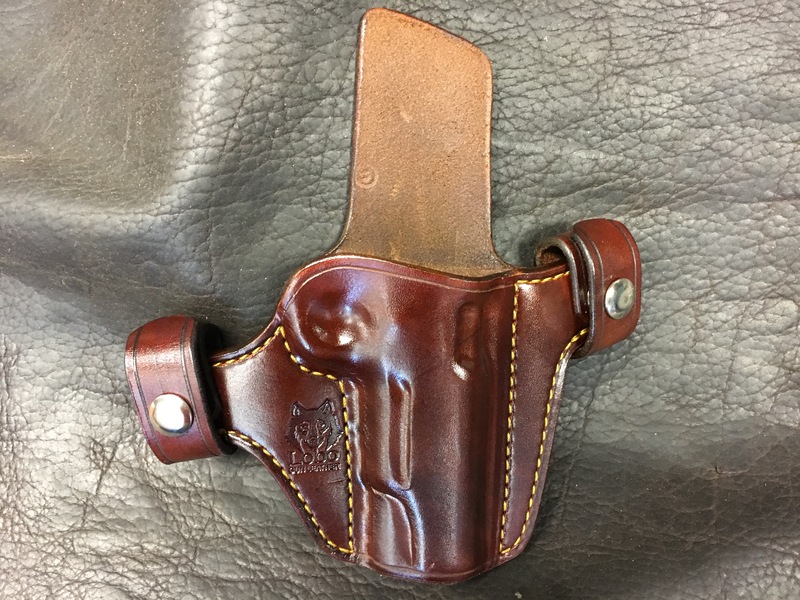 A very practical outside-the-waistband design allowing the holster to be put on and taken off easily. 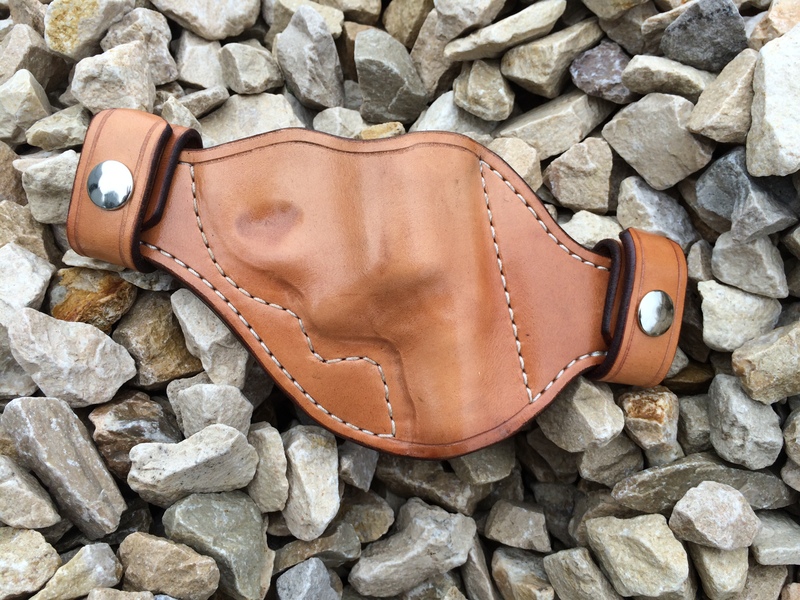 No need to unfasten your belt, thread it through all the trouser loops, etc. 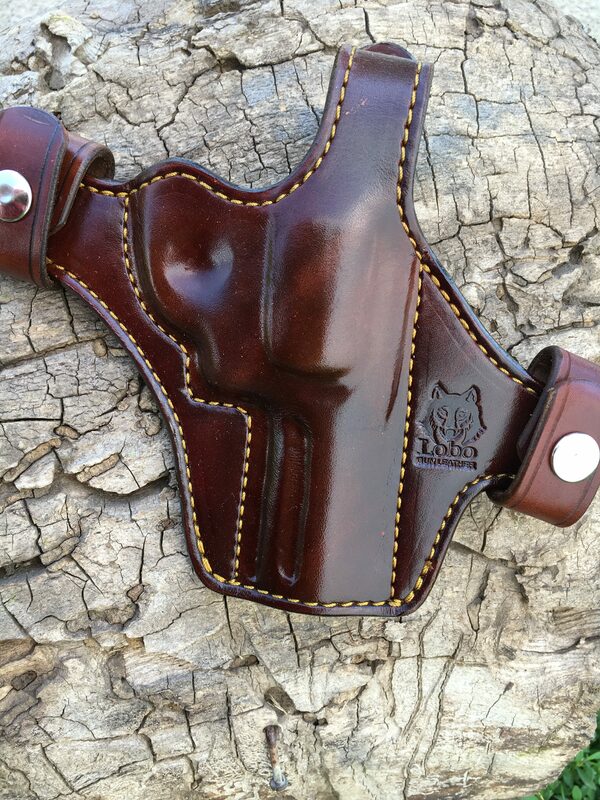 A great choice for those who need to go into and out of areas where a sidearm is not advisable or permitted. All the benefits of the original Pancake style. Very comfortable. 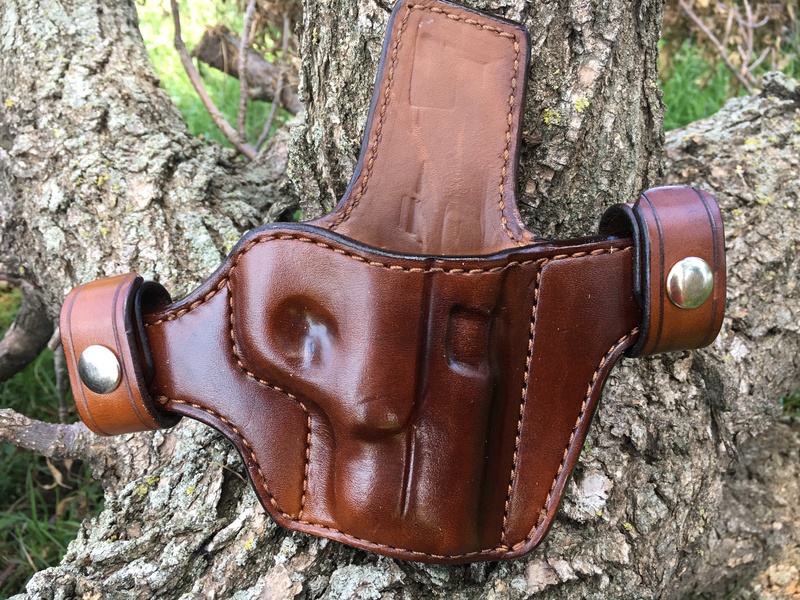 Very concealable. 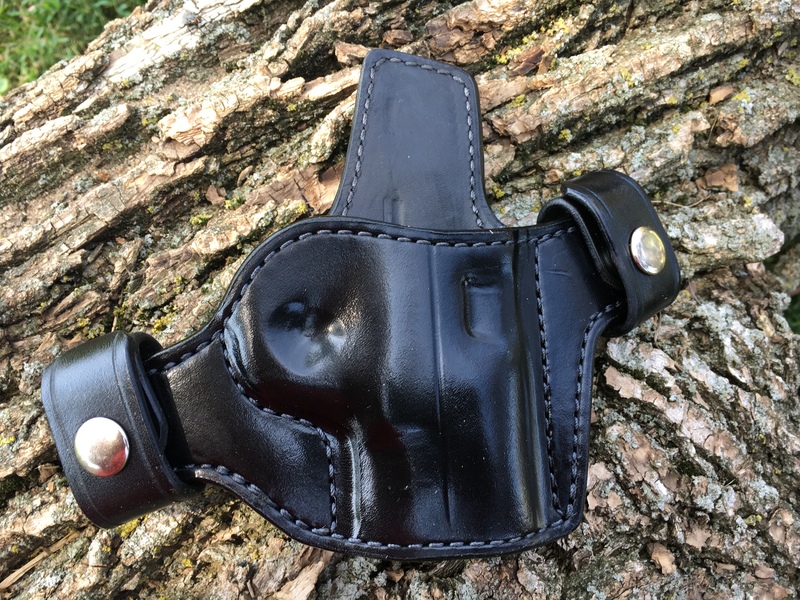 Slide shields (semi-auto holsters), =$10.00. MATCHING MAGAZINE POUCHES ARE AVAILABLE, single and double.